This is an astonishing pair of letters. Think a bit about what we’ve seen in these letters acknowledged of Austen’s writing thus far. There are but 2 firm references to Austen’s written novels thus far: to Cassandra and about Martha having read an apparently fair copy of First Impressions so many times she must have it by heart; but even here Austen does not make it explicit the book is hers (Letters 17 & 21). There has now been a gap of 4 months (see letter 67) and after this pair 3 months (letter 70). There is no reason to believe Jane went silent. She and Cassandra were apart and writing every 3-4 days. I suggest she was hatching this and other plans to write and wrote in reaction to Crosby’s ugly reply. These letters have been destroyed: both whatever were her words of plans and whatever her words of dismay and rage. I suggest she had finally seen at Chawton they would have so few visitors she need worry about, have so little status and means to entertain you see; and that she would at long last have space, stability (this was going to be it, Edward meant it and the house was theirs for as long as they wanted and needed it — and Jane had no intention of marrying, or seeking a spouse, Hannah More’s novel in search of a spouse notwithstanding), time. So we get this sudden bold thrust into a public arena. Alas, this letter also shows Austen’s utter powerlessness, lack of any connection to anyone in publishing, any handle of any kind. She had not had the boldness or nerve herself to negotiate with the publisher and perhaps now she is thinking the better of that. If you want your your business done, do it yourself as you are really the only one who really cares in the least. Wednesday 5 April 1809 68(D). To B. Crosby &.. Co.
We have to acknowledge the receipt of your letter of the 5th inst. It is true that at the time mentioned we purchased of Mr Seymour a MS. novel entitled Susan and paid him for it the sum of 10£ for which we have his stamped receipt as a full consideration, but there was not any time stipulated for its publication, neither are we bound to publish it, Should you or anyone else [sic] we shall take proceedings to stop the sale. The MS. shall be yours for the same as we paid for it. ~ Dennis Post Office Southampton. For B. Crosby & Co I am yours etc. Diane R says the publisher went down in history in infamy. I wish this were so. I’m not sure anyone really remembers Cosby’s name. All the more reason to put this pair of letters complete into my blog. I don’t agree with that Jane Austen’s letter is stiff and formal. It is quivering with emotion, electric with desire. The language is plain and direct, simple. I’m reminded of Catherine Morland’s common on how she’s not clever enough to be unintelligible — write mandarin prose. Stiff and formal for the era is “Miss Austen asks that … ” No “I”, complex passive constructions. There’s nothing like that here. In comparison one should read some of the letters the women playwrights wrote to the managers who rejected them in Ellen Donkins’s Getting into the Act (women playwrights of the 18th century). Muted complex sentences, back treading, distant qualifications, covering themselves. Nothing like that here. The closest thing is Charlotte Smith who was hand-in-glove with her publishers while she fought, and the acid Inchbald who nonetheless offers linguistical complexity as her guard. I agree to obtuse ears it might seem even unemotional, but we don’t have to be very subtle elves to see the need crackling beneath the surface, and the anger in the first two sentences and again in the signature. Note too most of the sentences are her offering to produce a new ms in 4 months. Note the urgency of “Be so good as to send me a Line in answer, as soon as possible, as my stay in this place will not exceed a few days …. ” Dear good sir, please. How and what did she got, one of these polite controlled snarls. The bully saw through her. I’ve had such myself, what a kick people get out of this kind of thing when they do it in interviews or if you are so hardy or foolish to phone afterward. But most of us are not MAD enough. Remember she’s been seriously writing since around 1791 – the time of Love and Freindship which is no short inconsequential work. mortifying this is, how she will be seen as crazy. No one in her circle really respected a woman who wanted to publish. She is suddenly determined to try to publish one of her books, the second one she had prepared for publication — the first had been First Impressions in November 1796, rejected by return of post. 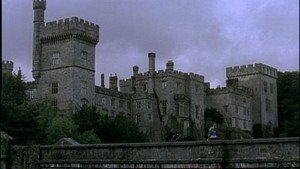 Perhaps the Bath setting, the gothic element she thought would draw people, and it was shorter than First Impressions (said by Mr Austen to be about the length of Burney’s Evelina). It is hers (oh boy is it hers), and what does she get in return: a brutal arrogant cold threat. this time not herself (too painful) but again through Henry and Frank. They went together as I recall. It took another 6 years and four novel successes before she dared try to wrest her treasure from this (stupid) man who had all the laws of private property and masculinist convention on his side. He bought it, he paid for it, it’s his. In November 1815 she applied again, this time not herself (too painful and/or grating) but through Henry. James-Edward Austen-Leigh tells us it was only after Henry bought the rights to the book back he told Crosby its so “lightly esteemed” author was the author of Pride and Prejudice.” It took another 6 years and four novel successes before she dared try to wrest her treasure from this (stupid) man who had all the laws of private property and masculinist convention on his side. He bought it, he paid for it, it’s his. What circle of Dante’s hell should one put him in. The book to consult is La Comedia. I contend the quivering feeling is out there for us to see — that style of hers is why she is a great novelist. She writes directly. I agree with Diane R that this is a kind of Kafka world – it has ever been a Kafka world – but Austen has no Kafka to spell it out, unless we were to consider some of the gothic situations in novels and memoirs. It’s a palimpsest; there’s a draft underneath the copy which is in print. He has seen a written out under-version using fibre-optic light cable and ultra violet light (abetted by leaps of faith — I did this for my Anne Finch studies). It seems the one underneath is the same except the phrases are scattered … she’s testing them. This first version is not signed “MAD” which Axelrod finds silly. I suppose a business letter to his mind is solemn all the time. However, to sign it “J. Austen” is actually better. The earlier version has an open statement of true identity. There have been arguments whether this is autograph. The technology study has made it firm it is in Austen’s handwriting. See archive for Jane Austen’s Letters. I found the image in the article by Axelrod that I cited in the old issue of Persuasions. Let me add that Axelrod has produced an important edition of the transcripts of the cancelled chapters of Persuasion and the manuscript of Sanditon: Jane Austen Caught in the Act of Greatness: A Diplomatic Transcription and Analysis of the Two Manuscript Chapters of Persuasion and the Manuscript of Sanditon, ed. Arthur Axelrod, an invaluable book. I had occasion to re-read Persuasion yesterday. I began with the third from the last chapter of the 2nd volume and found myself gripped by its trembling half-wild tone. It’s not as worked up or polished as Emma or MP and all the better for it. It is quite different in feel from the one she had just finished Emma. I know she has NA underhand, but this is a manuscript whose surface shows another self from another era. The compelling neuroticism as the mind of the heroine moves back and forth with great anxiety over the hero’s feared response to Mr Elliot and how others are seeing her is riveting, the quick movements of the pen and each phrase as it churns back and forth. This is not performative stuff. There is nothing between the register and the eye reading it, no guards beyond the necessities of elegant language, and the pretenses of characters in a story -design engineered to bring this out. I remembered I once preferred Persuasion above all others. Now I see why. I am reading it to compare to the cancelled chapters which I now think survived because she was planning to rework them into the final version of Persuasion eventually. 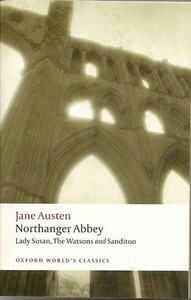 I now see that the Cambridge edition of Persuasion does not provide a diplomatic transcript of the cancelled chapters. Neither does Chapman in his book on the manuscripts; nor any of the editions. They just reprint facsimiles of the manuscript which (let’s face it) are unreadable. 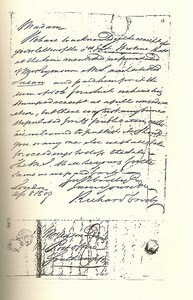 chapters of Persuasion and manuscript of Sanditon which he provides a dipolomatic transcript of. He brings these together, I see rightly. They are of the same period, they are the continuous register of this woman’s last year and then months of existence. Hi Ellen, it is fascinating to read this letter exchange and your assessment of it in context of the language used and of her circumstances at the time. Vic on Jane Austen’s world has written a description of the fourth edition of the letters by Le Faye.